Springtime in Hawaii is a time of rebirth and renewal — not for foliage, but for pests and insects. To minimize the intrusion of bugs in your life this year, you must take a few preventative measures. Without adequate preparation, you might be up against some fierce adversaries at home. Below are some pest control tips to help you spend the season in comfort. Roaches and silverfish are drawn to water, so any uncontrolled sources of moisture in or around your home should be eliminated. 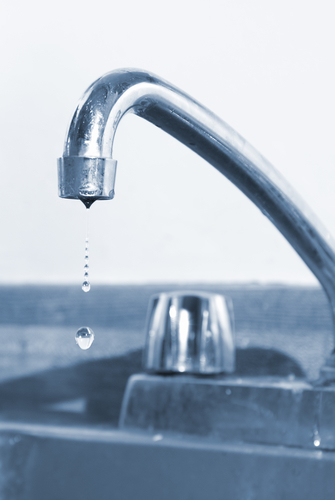 For instance, leaky pipes and dripping faucets not only result in mold growth but also attract bugs and other pests. Have these repaired as soon as possible, and address other moisture issues. Standing water around your foundation can lead to problems, as can birdbaths in your yard. Pests love places they can hide in. If your home, garage, or tool shed is filled with clutter, it gives them license to move in. Make spring cleaning a priority this year, and discard any items you do not need or use regularly. Boxes, unused furniture, blankets, and even stored coats and clothing can prove an invitation to bugs and rodents. Unwashed dishes, greasy floors, or crumbs left out on countertops all attract pests. Perhaps the most effective pest control strategy is to keep your house clean and tidy. Store foods in sealed, airtight containers instead of in cardboard boxes. Wipe up spills thoroughly, and use disinfecting wipes when convenient. The fewer food smells you permit to linger, the fewer pest control problems you'll have. For reliable exterminator service, contact Aloha Termite & Pest Control in Wahiawa, HI. They have been serving clients throughout Oahu since 1999. They specialize in ant control, bedbug and termite treatment, and bird and rodent removal. They offer a 5-year warranty on fumigation service. Visit their website to connect with them online or call (808) 622-2268 to schedule a consultation for their pest control services.